We are leading manufacturer, wholesaler and exporter of Wave Spring Washer. Our reputation in the market is largely attributable to our precision-designed Curved Spring Washer. 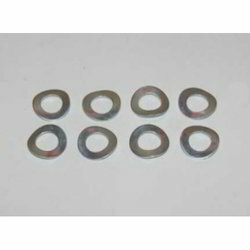 This washer is used in avionics, telecommunications, and automotive industry. The offered washer is precisely manufactured using the best quality material and advanced technology under the strict supervision of our skilful professionals at our technically sound production unit. In order to ensure its quality, this washer is stringently checked on different parameters of quality by our experts. Our in-depth knowledge and industrial expertise enable us to offer a distinguished range of Wave Spring Washer. This washer is used in thrust-loading applications for small deflections. We manufacture this washer making use of quality assured material as well modern techniques by our dexterous technocrats as per the defined industry standards. To supply defect free delivery from our end, our offered washer is strictly examined by our quality auditors against diverse parameters. 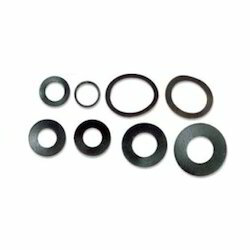 We are dedicatedly engaged in offering a commendable range of Steel Wave Spring Washer. The offered washer is widely used in mechanical industry. Using optimum grade material with the assistance of the latest techniques, this washer is manufactured under the surveillance of highly qualified workforce at our sound manufacturing unit. For its features such as high strength and dimensionally accuracy, the provided washer is exceptionally valuable by esteemed customers. 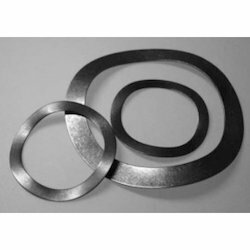 Our company is a coveted manufacturer and exporter of Wave Washer which are used as cushion spacers between parts on shafts. Ability to maintain a load or take up a shock are its best known attributes. In addition to this, these have high utility for limited radial space and moderate thrust load. Besides, these wave washers provides compensating spring force and are engineered with perfection. Looking for Wave Spring Washer ?